The Main Street Tower at 300 E. Main Street is shown reflecting the Dominion Enterprises Building and the last of evening sunset to the west. 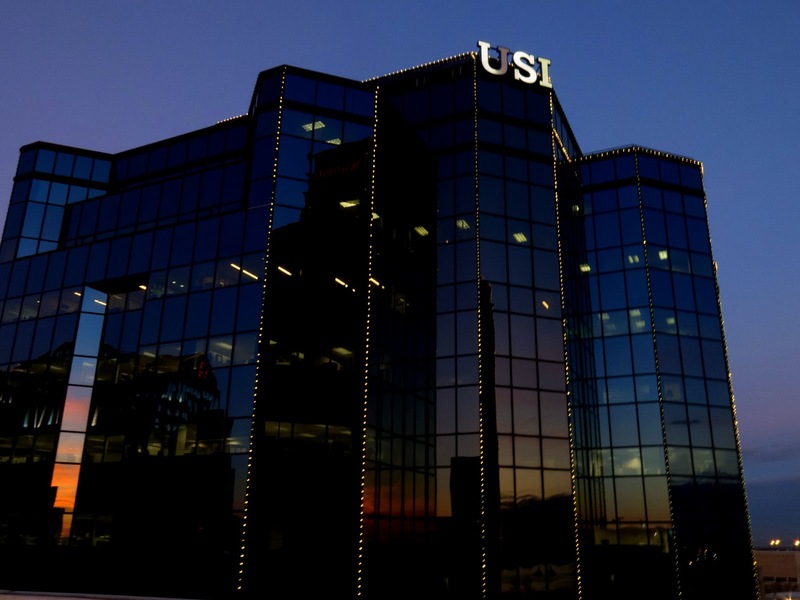 This 14 story black glass modernism office tower is home to a couple of U.S. Coast Guard commands and the Norfolk office of the USI insurance company. This tower is on the site of the National Bank of Commerce Building later the First and Merchants Bank which was also 14 stories. Built in 1905 and demolished in 1988, it was the city's tallest building for much of the first half of the 20th century and was noted as the home of Norfolk's Mace which was housed in a custom glass case within the banks's vault. The current Main Street Tower designed by Burrell F. Saunders began construction in 1988 but wasn't completed until 1994 including a period of 2 years when all work on the building stopped. Canon G15, 2/8 sec @ f/8.0, ISO 400.